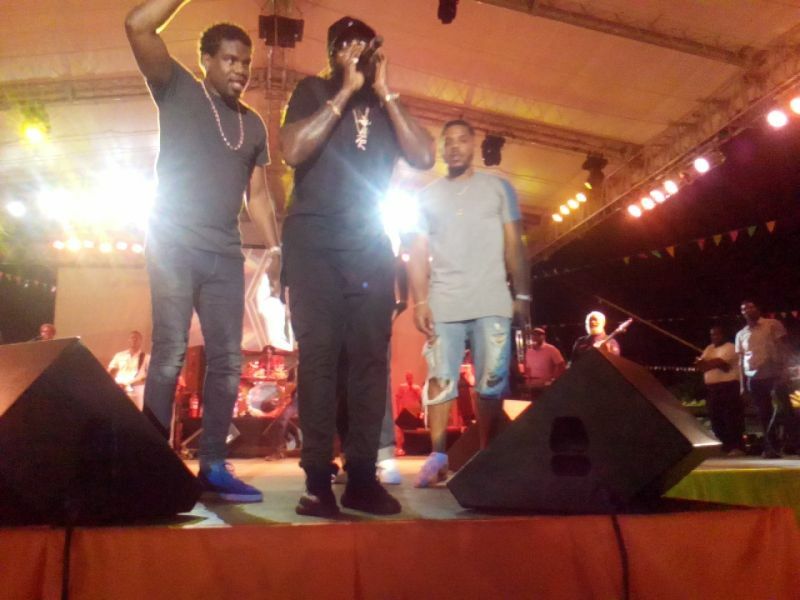 The night kicked off with a performance by The Final Faze that had the patrons rocking to the sounds of their beat which included a mix of reggae and soca. So Strong Family and Ras Imo performances were filled with conscious and soulful lyrics that spoke to crime and love. Another remarkable performance was easily executed by Drastic which had the crowd in an uproar as he unleashed some dance moves and hit songs like ‘Wukk’, ‘Oye’ and ‘Where I’m From’. Local Calypso Queen Sistah Joyce captivated the crowd, not doing any calypso but some of her local reggae songs like her popular, ‘Love Potion’. Following, Revelation Da Royal’s performance was nothing short of energy and conscious vibes that had the patrons in a rock steady mood as he paved the way Pressure’s performance. Pressure Buss pipe held the crowd, doing some of his number one hit sounds like ‘Love and Affection’ and ‘Virgin Islands Nice’ that truly primed up the crowd for what they had coming next, the reggae soulful entertainer, Tarrus Riley. With the crowd 85% to the stage front by the time Pressure Buss pipe was showing his ‘love and affection’, space was not enough to the stage front to contain the crowd that wanted to be at that level for the night’s feature artiste who had the fans singing along at several stages of his time on stage. He sang some of his number one hits like ‘She’s Royal’, ‘Superman’, ‘Love’s Contagious’ and ‘Sorry Is a Sorry Word’ just to name a few. Before closing his performance, Tarrus Riley ended with a bang by surprising his fans with special guest, Rock City which had the crowd in a frenzy as they performed their hit song ‘Crazy Love’. Local band VIBE closed the night with an energetic performance, singing there latest song ‘Flashlight’ that has been receiving positive feedback since its release. The song also pays tribute to Neil A. ‘Mr Melee’ Blyden. is this a reggae fest?